﻿ WebM to iMovie Video Converter - How to Import WebM to iMovie and Edit WebM with iMovie? Download some WebM videos from YouTube or Google HTML5 browser consisting of VP8 video and Vorbis audio streams and want to import them into iMovie to edit? Since WebM is not readable for iMovie, this becomes an impossible mission. WebM format is a royalty-free, high-quality format which could not be read by every web and software. Any Video Converter, a powerful and professional WebM to iMovie Video Converter, can convert all kinds of YouTube Videos in WebM, FLV, MP4, VOB, AVI, 3GP, 3G2, MKV, TOD, MOD, MTS, M2TS, TS, WMV, ASF, M4V, etc. to iMovie video and iMovie HD Video in MPEG-4 format to import YouTube video to iMovie, so that you can edit various YouTube videos with iMovie. The WebM to iMovie converter is the most suitable program to convert WebM to iMovie supported format and then allows you to import WebM video to iMovie on Mac for making video files more vivid and specific. 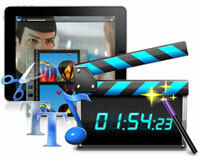 The WebM to iMovie Converter features very easy-to-use and very high conversion speed. With the WebM to iMovie Converter, Only a few clicks and very little time you will be able to transfer your YouTube WebM video to iMovie for editing. You can also adjust the output parameters including Video Codec, Video Bitrate, Audio Codec, Audio Bitrate, Audio Channel to get a better video quality to import to iMovie. iMovie is a proprietary video editing software application which allows Mac, iPod Touch 4th generation, iPhone 4 and iPad 2 users to edit their own home movies. It was originally released by Apple in 1999 as a Mac OS 8 application bundled with the first FireWire-enabled consumer Apple model – iMac DV. 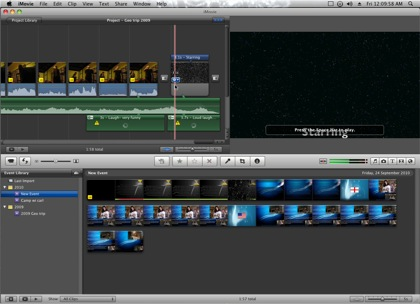 Since version 3, iMovie has been a Mac OS X only application bundled in the iLife suite of Macintosh applications. iMovie imports video footage to the Mac using either the FireWire interface on most MiniDV format digital video cameras, the USB port, or by importing the files from a hard drive. From there, the user can edit the video clips, add titles, and add music. Effects include basic color correction and video enhancement tools, and transitions such as fade-in, fade-out, and slides. How to Convert and Import WebM to iMovie for Editing? If you want to import WebM to iMovie for editing, you have to convert WebM to iMovie supported Video Format such as MP4 with WebM to iMovie Converter. Follow these steps to learn how to convert and import WebM to iMovie, so that you can edit WebM with iMovie. Step 2: Choose *.MP4 as output format from the Profile list. You can customize video and audio settings (e.g. Video Codec, Video Bitrate, Audio Codec, Audio Bitrate, Audio Channel) in the WebM to iMovie Video Converter to enhance the experience of enjoying output videos. Step 3: Click Convert button to start convert WebM to MP4 format. Once the conversion is finished, you can click "Output Folder" button to get the output files. Now you can import this readable MP4 video into iMovie and edit it as you like. Just have fun! 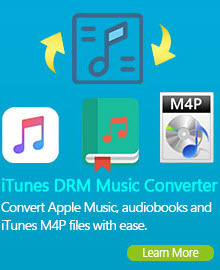 Wanna convert DVD to iMovie supported format? Any DVD Converter Pro rip DVD to iMovie video perfectly. WebM to iMovie Converter software provides an easy way to combine and join multiple videos together. Just select the videos you want to join and check the “merge output” you can finish it easily. You can merge several WebM video clips into a single MP4 video, so that you can enjoy a long video. You can trim the length of any videos to get the video or audio clips you want. The Webm to iMovie Video Converter also allows you to crop video to adjust the suitable size of displaying screen. You may personalize the video by tuning the video brightness, contrast, saturation or adding some effects like "Mirror Image " or "Flip Vertical"etc. For enjoying a better quality output video, Webm to iMovie Video Converter offers you the characteristic to make advanced encoding settings including Video Codec, Frame Size, Frame Rate, Bitrate and Audio Codec, Sample Rate, Channels, Bitrate. The Webm to iMovie Video Converter allows you to download YouTube videos and convert them to .webm format and many other video and audio formats lightning speed. This program also supports YouTube HD video files. There are many easy and simple ways to download YouTube Videos. Copy and paste YouTube video URLs on the window of the converter to start downloading. 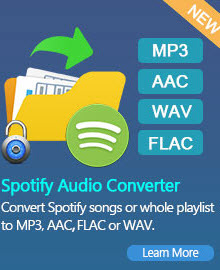 This "download + convert" software offers you the easiest and fastest way to watch, download and transfer videos to your multimedia device! With this versatile WebM to iMovie Converter, you can not only convert WebM videos to various portable video and audio players, but also able to convert almost all popular video formats include MOV to WebM, WMV to WebM, MP4 to WebM, etc.